Ni No Kuni 2 might be drastically different to is charming, popular predecessor, and that’s not the only thing that might be changing with this long in development sequel. Originally slated for just the PS4 and PC (already a platform more than the first), a new report states that Ni No Kuni 2 might be headed to Xbox One at an unspecified time. The news comes the way of IGN Spain (via Game Informer), who states that the release will be a digital-only one sometime after the original launch. The rumour was sparked by a retailer listing for the Xbox One version of Ni No Kuni 2, which lead to the assumption that the platform was being supported. The listing was taken down and labelled an error, but IGN Spain continued reporting on the news, stating that sources close to them had confirmed that the game would be a digital-only release on the Xbox. If true, it would be a surprise, given the struggling Japanese support the Xbox One currently has. NISA has already made a big deal about how limited retail copies of Ni No Kuni 2 will be, which might explain why it might only be digital if it lands on the Xbox One at all. It’s a curious situation, but if true it’s a big win fro Microsoft. Large JRPGs such as Persona 5 have stuck exclusively to the PS4, while other Japanese developed titles such as NieR: Automata also showed the cold shoulder to the unpopular console in Japan. 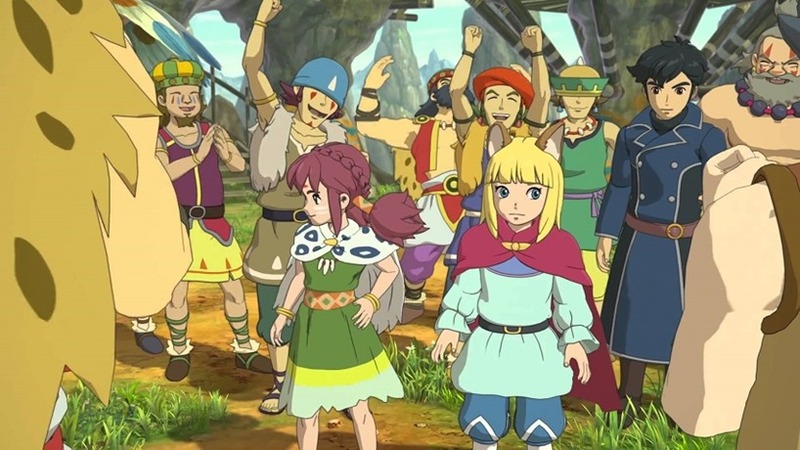 Ni No Kuni was a strong PS3 title, so to see its sequel make the jump to multi-platform would be pleasing to Phil Spencer and Co.
It’s still a rumour though, and one that doesn’t sit entirely right with me just yet. But with Ni No Kuni 2 racing to launch at the end of January, it’s certainly still possible. Bandai Namco has shot this rumour down, telling Gematsu that the game isn’t coming to Xbox One. Ever.